We’ve known we wanted to live in Thailand for a while. For me, the fantasy started when I was 19. 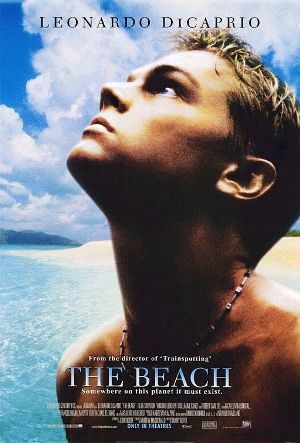 I remember rifling through my college roommate’s DVD collection one night and finding The Beach. Given my serious man-crush on Leo, I naturally decided to watch it. It was such a weird movie, but I loved it. There was something in that movie that told me anything is possible in Thailand. And that excited me. That thought captivated my imagination for years. Luckily I met Alexis who was equally as passionate about travel a couple years later. 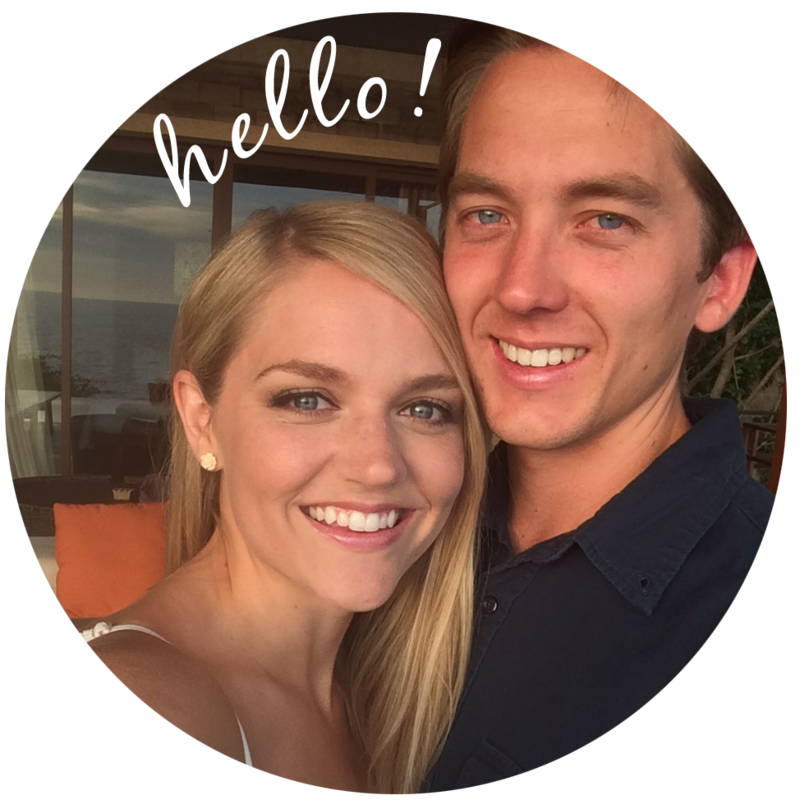 When we graduated from college in 2011, we looked pretty heavily into CIEE to teach English in Thailand. Just as we were about to apply, Alexis got offered her dream job in Washington, DC, so we put Thailand on hold and spent the next two and half years in the nation’s capital. Fast forward a few years and we’re engaged, planning a wedding, and have both become disenchanted with our once great jobs in DC. The perfect plan is hatched to say goodbye to DC, have the wedding in my hometown of Kaneohe, Hawaii, and then leave for our honeymoon in Thailand where we just… won’t come back. Pretty romantic idea, eh? Well, in a lot of was it has been, but as with most of life, nothing ever goes perfectly according to plan. But seriously, our honeymoon was awesome. Living by the beach ended up being most important to us, so we decided to focus on the south. Phuket seemed to be the epitome of too touristy, so we ruled that out. It came down to Krabi or Hua Hin. We ultimately decided on Hua Hin, a small beach town a few hours south of Bangkok. Well, the coup happened and all of a sudden everything is up in the air. Should we even go to Thailand anymore? How can we plan a completely different future in one week when we’ve been planning this honeymoon and life abroad for a whole year? Who cares how hard it is, is it worth risking our lives? Is it even that dangerous? So much was going through our heads. The general way information was coming at us was all the media outlets, both on TV and online, were saying it’s really dangerous and you shouldn’t go. On the other hand, people in forums were saying there’s nothing to worry about, it’s not dangerous at all, nothing has even changed in their day-to-day lives, and that unfortunately, this happens pretty frequently in Thailand so it’s not this big deal the media is making it out to be. This has proven to be the truth. We haven’t been concerned or worried once here, but at the time we were trying to process all of this, it was terrifying and stressful. It seems almost comical now that just a few months ago we were sitting my dad’s couch in Hawaii freaking out that here we are, about to get married in a matter of days, and we’re trying to figure out where we’re going to live next week. We poured through websites, blogs, and forums about teaching in Korea, Japan, Indonesia, Vietnam… just about everywhere else in Southeast Asia. After the news calmed down a little bit, we felt confident enough to still go on our honeymoon to Thailand, but we made Indonesia our backup plan if we needed to get out as soon as we left the honeymoon bubble. The one thing we did change though was our plan to move to Hua Hin. Hua Hin is where the royal family vacations and we didn’t think it wise to intentionally put ourselves in a location that could have possible reasons for violence, protests, or revolts. Instead, we decided to just stay in Phuket after the honeymoon was over and figure it out from there. As much as I was opposed to Phuket up until that point, I just didn’t care anymore. I just wanted to make sure me and my new wife didn’t die. We decided that if we liked it in Phuket and we still felt safe after leaving the honeymoon bubble, we’d stay, but if not, we’d move somewhere else, whether that be in Thailand or not remained to be seen. During that week, it’s hard to even describe how quickly the honeymoon bubble burst. 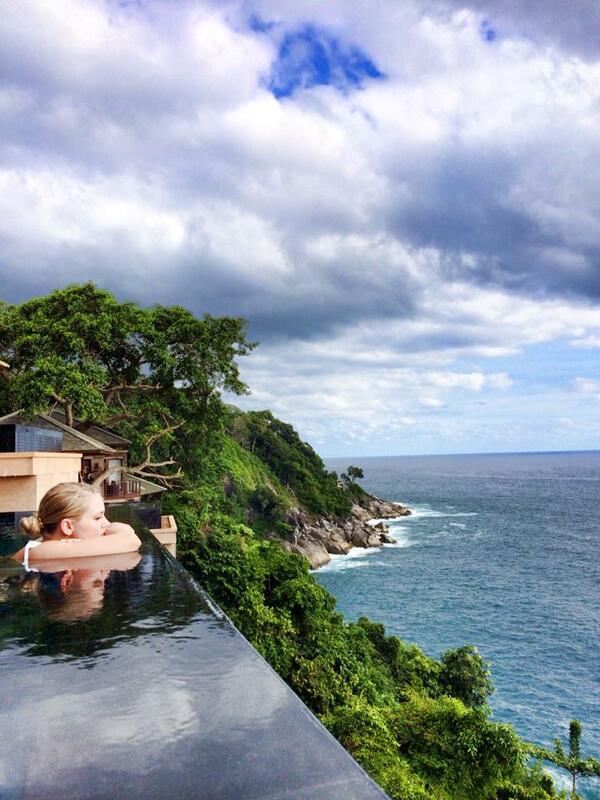 Despite the coup being a non-issue, real Phuket could not be more different than honeymoon Phuket. Angela and Chris of Tieland to Thailand have a really similar story to us (lived in DC, got married, moved to Thailand, etc) and they made this graph that pretty accurately depicts the awful realization that your honeymoon is definitely over. So, there was a confluence of factors leading to our state of “what have we gotten ourselves into?” One, the simple fact that we had just come off the highest high of our lives. Two, the fact that we were now expected to start our married life thousands of miles away from home on the other side of the world. And three, the realization that we really did not like Phuket. 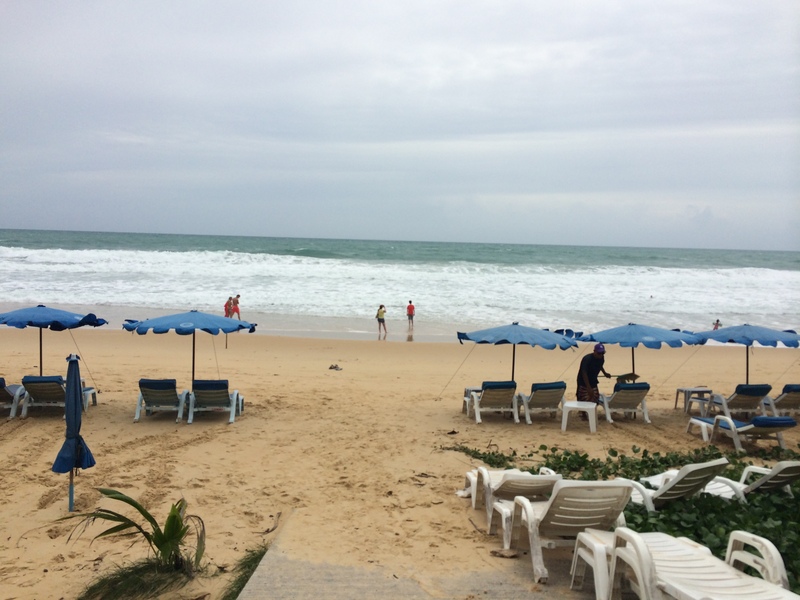 We tried picking an area of Phuket we thought would be a small, unassuming beach town. We knew to avoid Patong, which we had heard was extremely seedy, grimy, and just crawling with people we don’t really want to be around. We drove through Patong on our way to our guesthouse, and it definitely wasn’t a place that enticed us to stop. Karon Beach, where we holed up for a week trying to figure out our next move, however, was still not a place we found attractive in any way. There were two types of people there: tourists and people selling to tourists. That entire week, we felt like we were just walking wallets. You could not pass a store front without someone harassing you to come inside. Karon is also not really a “town” in the sense we imagined. There’s one major highway that runs north and south along the west coast of Phuket that went through town, but other than that, it’s just small side streets leading to the beach. It wasn’t a very walkable place by any means. Another big reason that led to our dissatisfaction was that it was monsoon season. It didn’t rain very much when we were there, but the weather was never very nice either. It was constantly grey, cloudy skies, with blustery wind — not our ideal beach conditions. This was hugely disheartening since we spent all that time deciding where in the south we wanted to live so that we could have the ultimate beach lives. We knew it was going to be monsoon season, but I guess we just didn’t quite realize what that meant. One thing we did not read about anywhere and thus did not expect was how dirty the beaches were. I don’t know if it was just another side effect of monsoon season or a lack of environmental concern, but the beaches were covered in trash and debris. So not only was this not an easy place to get around, and when we did walk around, we were treated like nothing more than money with legs, but the main reason for being there turned out to not be very attractive. Not the idyllic Thai beach we imagined. So pretty quickly after the honeymoon ended, we decided we didn’t want to live in Phuket. The south in general seemed out as well since, if we aren’t going to be taking advantage of the beach, we might as well head north where we heard it’s cheaper, less touristy, and not as hot. And that’s what we did. We decided Chiang Mai is where we should go since it met another one of our initial considerations: ease of find a job. From everything we had read, finding a job as an English teacher was pretty easy in Chiang Mai, especially for people that look like us (blonde hair, blue eyes). Chiang Mai also has a really strong expat community and is a staple of “digital nomads.” It also represented coming full circle for us, as it was the place we talked about teaching English in way back in 2011. Now living in Chiang Mai, the saga of moving to Thailand finally feels like it’s come to an end. We’re settled in now and it’s just… life. Not the life we may have originally imagined, lounging on a beach sipping Mai Tais, but still a good life. We’re safe. We’re employed. And we have each other. ← New Destination Guides Are Up! Awe. ❤ Miss and Love you two.